Vince McMahon ended a solid month of speculation today as he announced the return of the XFL. The league will launch in early 2020 either in late January, early February. There will be eight teams playing a 10 game schedule. The league will have two semi-final games before a championship game. While the first version of the XFL had some success, it ultimately failed. What is different this time? -Vince McMahon is 100% in charge. He is ultimately responsible for the success or failure of the XFL 2.0. -Games will be fit into a 2 hour time window. This is huge. With a typical football game going going over 3 hours, a 2 hour window will keep fans engaged as the action will be more constant and build the drama, instead of slowing the game and disjoining the game the way the NFL has down of late. -The XFL will be about football. The league has said players will not be political at all. People are fatigued with politics today and keeping it out of football will give the XFL an advantage. -No TV partner. McMahon said in the announcement that no broadcasting partnerships have been formed. This could give McMahon more opportunity to customize broadcasts. 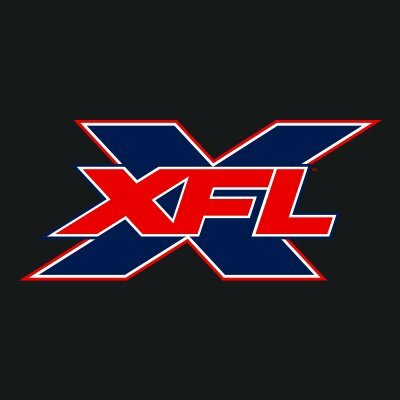 The XFL can have multiple broadcast feeds for the audience and truly make it a unique experience to watch a XFL game. 1 – Take Players Out of High School/Early College – With the NFL rule of making players wait three years after high school to be draft eligible, the XFL has a huge opportunity to grab talented players early and draw attention to the league. Leonard Fournette, Jadeveon Clowney, Andrew Luck were NFL ready far before they were draft eligible. 2– Put Football Back in Empty NFL Stadiums – The NFL has seen movement the past few seasons with teams relocating and leaving stadiums empty across the country. 3 – Embrace gambling – Football is hugely popular because of the financial investment people have make every week. Allow gambling from the stadiums during games. Let fans engage as much as they want. Don’t be hypocritical like the NFL and act like gambling is a danger to your league, it makes it more popular. 4 – Create entertaining pre and post game shows – Don’t just have former players yack yack yack. Diversify the perspectives on the show. Have a host, a former player, a gambler, an analytics guy, an average fan. Mix it up. Don’t have the cookie cutter show of a host and three or four former players and coaches. That’s dull. I’m pledging my support of the XFL and announcing that SportsFormulator will predict every XFL game beginning with its first game in 2020. I have added a XFL section to the site already. I’m excited about the return of the XFL and want to bring a team to St. Louis. The league has launched at a time where the NFL is most vulnerable. Fans have fatigue over the political nature games took this year and the Patriots dominance. Good luck XFL, I’m rooting for you and look forward to learning more about the league as it develops.